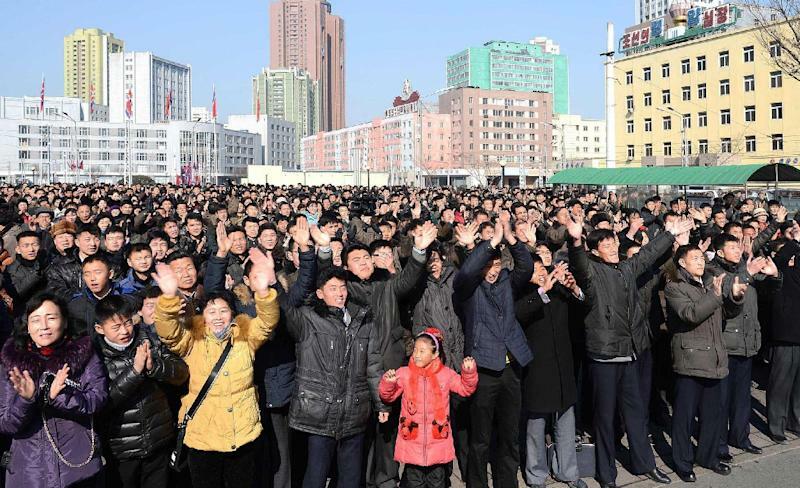 Seoul (AFP) - North Korea said Sunday it had successfully put a satellite into orbit, with a rocket launch widely condemned as another defiant step towards developing a missile capable of striking the US mainland. The launch, which violated multiple UN resolutions, amounted to the North doubling down against an international community already struggling to punish Pyongyang for its nuclear test barely a month ago. The UN Security Council met behind closed-doors in New York to issue unanimous condemnation of the rocket launch, but a new sanctions resolution under negotiation for weeks has yet to be put to a vote. South Korean President Park Geun-Hye urged the Security Council to respond quickly with "strong punitive measures". There was no immediate external confirmation that the final stage of the satellite-bearing rocket had successfully achieved orbit, although the US Strategic Command said it had tracked "the missile launch into space". Condemnation was swift, with UN chief Ban Ki-moon calling the launch "deeply deplorable" and US Secretary of State John Kerry denouncing a "flagrant violation" of UN resolutions. Permanent Security Council members Britain, France and Russia all expressed anger and concern, while North Korea's main diplomatic protector China voiced "regret". 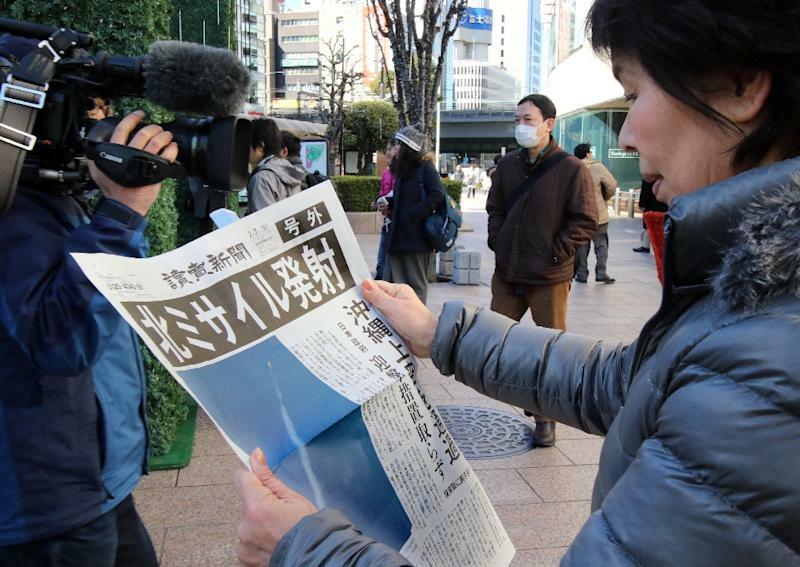 A draft UN resolution prepared by Japan, South Korea and the United States has been in negotiations since the nuclear test carried out on January 6. But Beijing has been reluctant to back measures that would take aim at North Korea's already weak economy. "China calls for more dialogue. What we need is no longer dialogue but using the pressure", said Japan's Ambassador to the United Nations Motohide Yoshikawa. China can use its veto power to block any resolution that would significantly scale up sanctions against Pyongyang by, for instance, barring North Korean ships from ports or restricting oil deliveries. A surge in military tensions on the Korean peninsula looked likely, with South Korean and US defence officials announcing talks on the deployment of an advanced US missile defence system in South Korea to counter the growing threat from North Korea. As well as North Korea, China and Russia are both strongly opposed to any such deployment of the Terminal High Altitude Area Defence (THAAD) system in the region. "When pursuing its own security, one country should not impair others' security interests," said China's foreign ministry spokesperson Hua Chunying of the defence system, adding such moves would escalate tensions on the peninsula and damage regional peace and stability. The South's Joint Chiefs of Staff, meanwhile, said upcoming South Korea-US military exercises, which infuriate Pyongyang every year, would be the largest ever held. 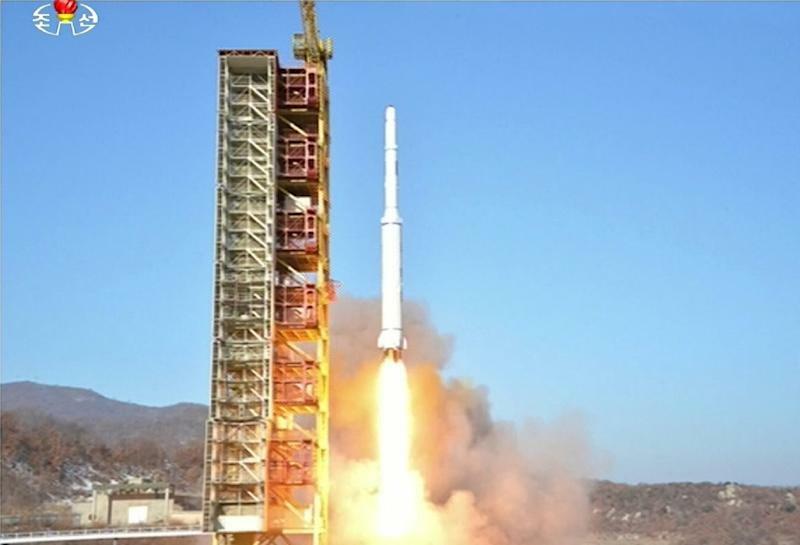 Sunday's rocket, carrying an Earth observation satellite, blasted off at around 9:00 am Pyongyang time (0030 GMT) and, according to state TV, achieved orbit 10 minutes later. Both South Korea and Japan had threatened to shoot it down if it encroached on their territory. Four UN Security Council resolutions proscribe North Korea's development of ballistic missile technology, and its rockets are considered dual-use technology with both civil and military applications. The United States and its allies had warned Pyongyang it would pay a heavy price for pushing ahead with the launch, but analysts said the North's timing was intended to minimise the repercussions. North Korea last launched a long-range rocket in December 2012, placing a similar Earth observation satellite in orbit. Western intelligence experts say that satellite has never functioned properly, fuelling suspicion of the mission's scientific veneer. Despite Pyongyang's bellicose claims to the contrary, the North is still seen as being years away from developing a credible inter-continental ballistic missile.